The model - Two versions of this New World First Bus hybrid Alexander Dennis Enviro500NG were released in Hong Kong on 31st July 2015. 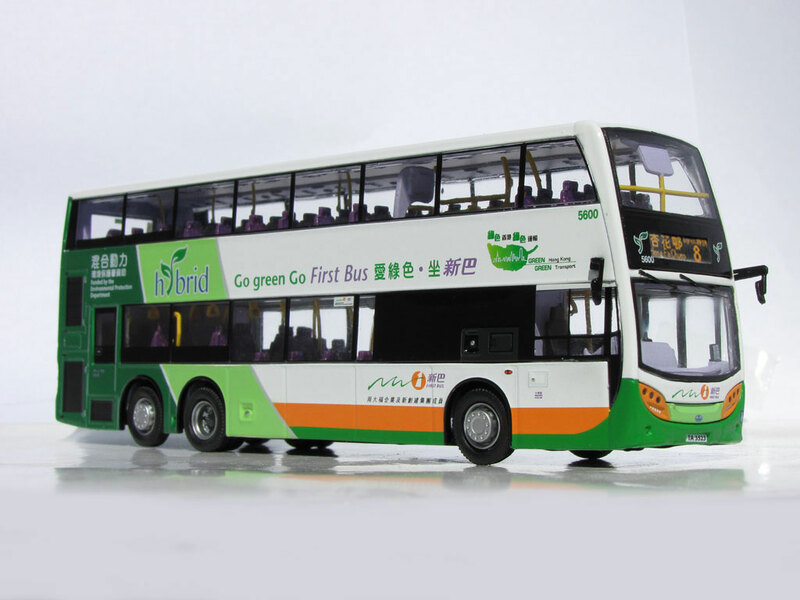 The bus - New World First Bus registered its first hybrid bus on 7th November 2014 under a government subsidy and it entered service shortly afterwards, running on high passenger flow routes like route 8. The bus is powered by a Euro 6 environmentally-friendly diesel engine, achieving zero emissions at low speed or whist stationary.